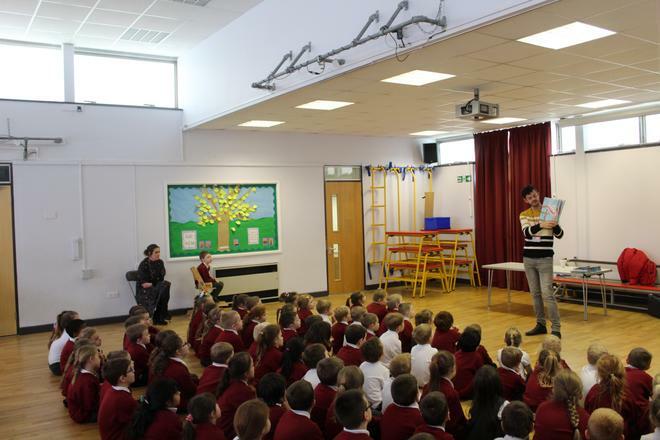 Today we were lucky enough to meet, and hear read, Grant Koper - author of 'The day Granny's knickers flew away!' 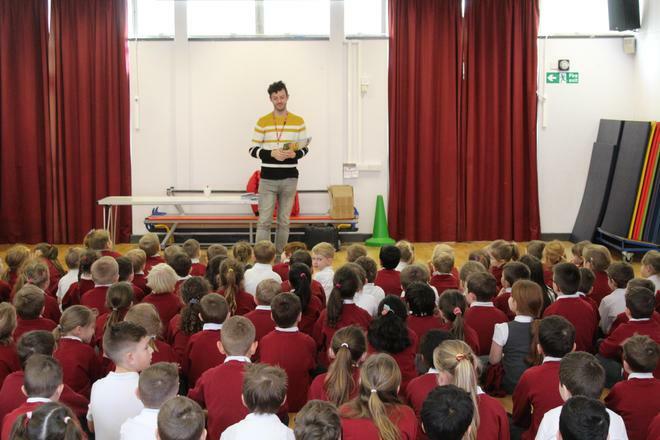 - the first of three new books produced by this exciting young writer. 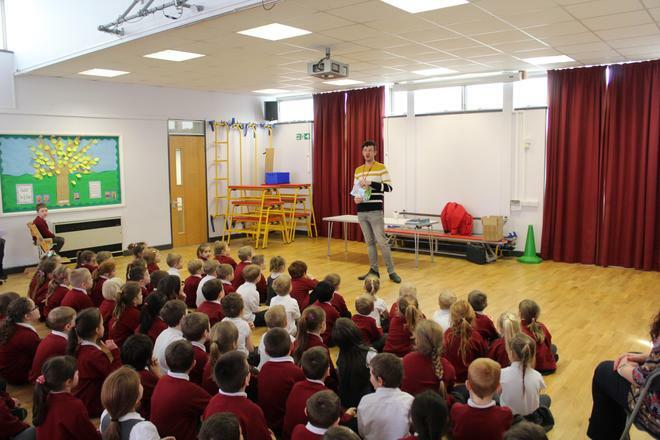 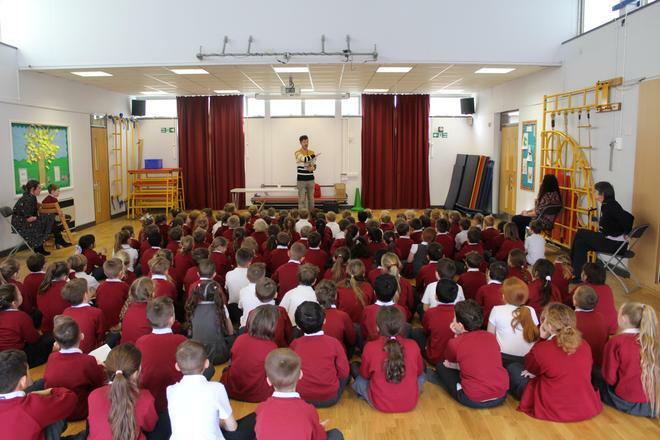 He read the book to EYFS - Year 4 and answered A LOT of questions before signing copies for the children who bough a copy of his book. 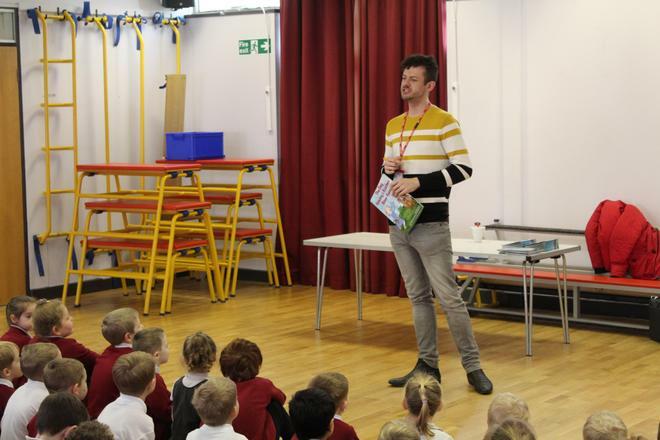 We were then lucky enough for Grant to spend some time with Yr 5 and Yr 6 talking about becoming a young successful writer and the desire and dedication it takes. 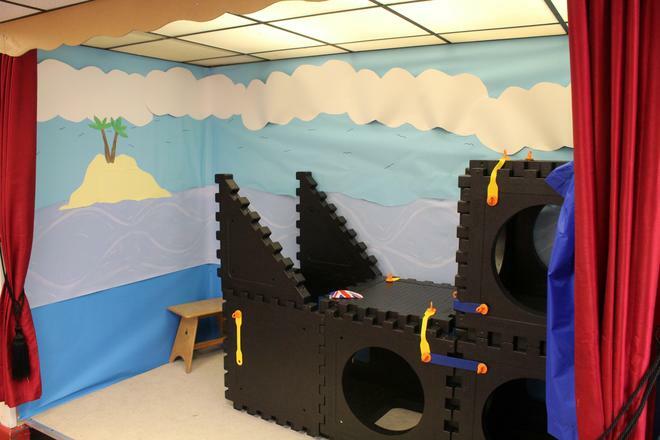 where you can access to the kids zone, which is full of fun writing games and also gives the children an opportunity to submit their own stories to Grant where he will read the best of the week out on his Youtube channel. 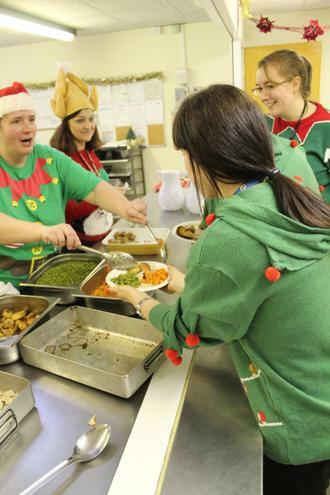 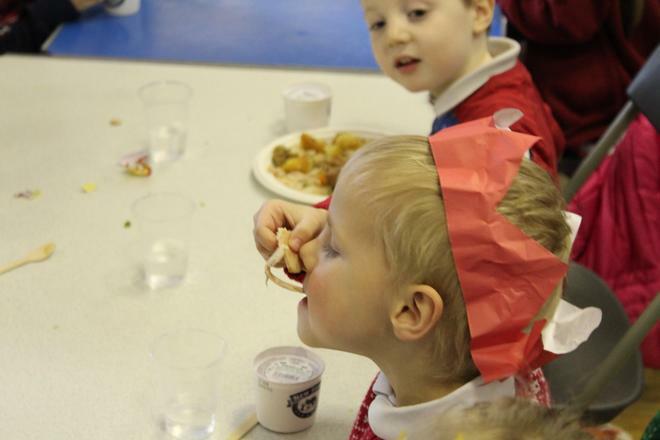 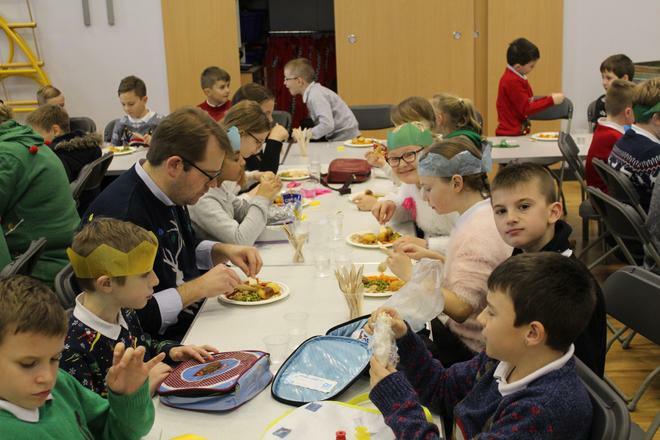 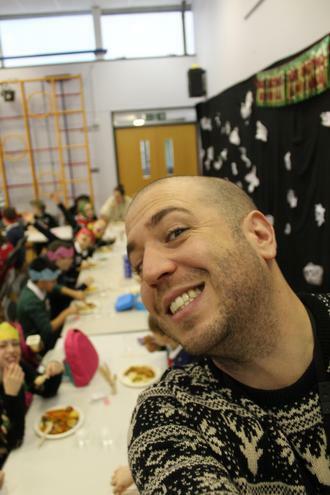 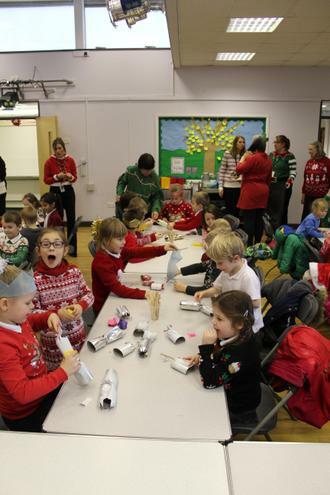 Today the children enjoyed a Christmas Lunch together. 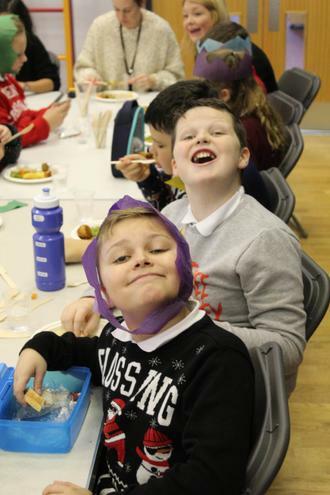 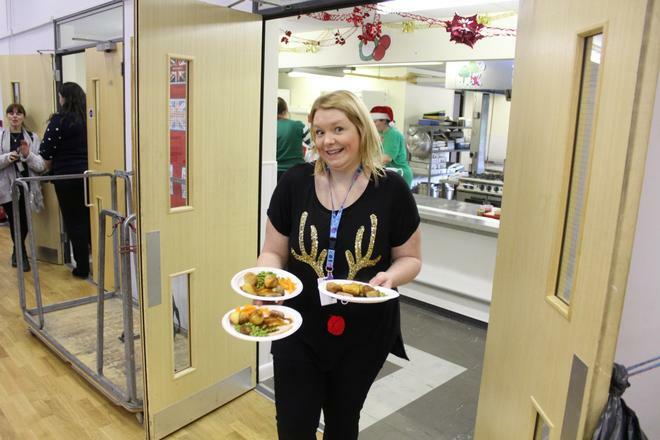 Key Stage One and Key Stage Two enjoyed dinner in two sittings served by staff across the school and enjoying a meal together. 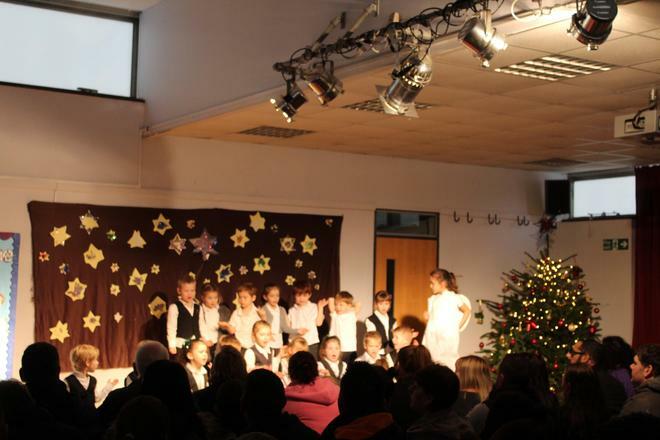 Parents joined the children in Key Stage Two for a Carol Concert in the hall. 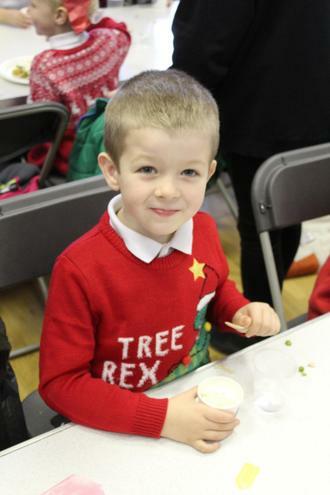 The children had made mince pies and Christmas biscuits for the parents to enjoy before sharing some carols with them. 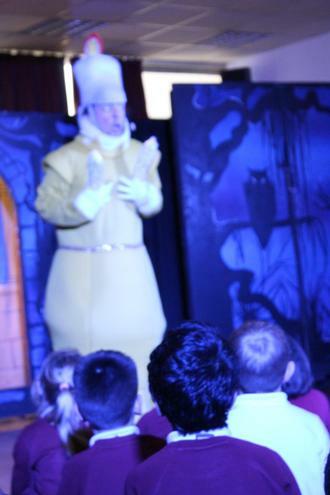 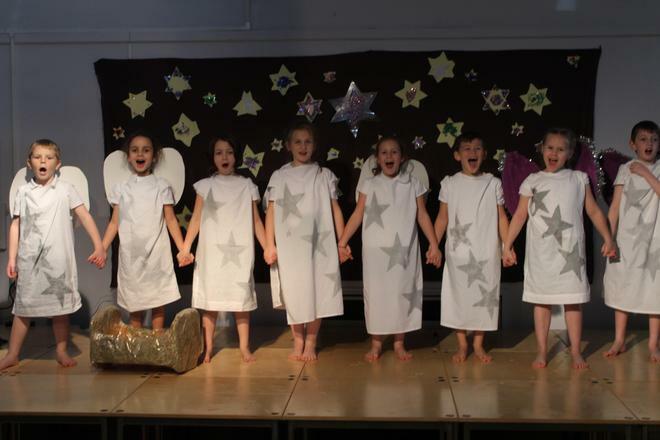 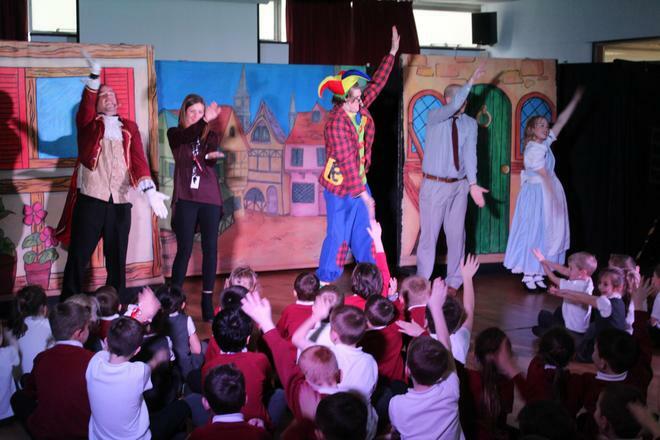 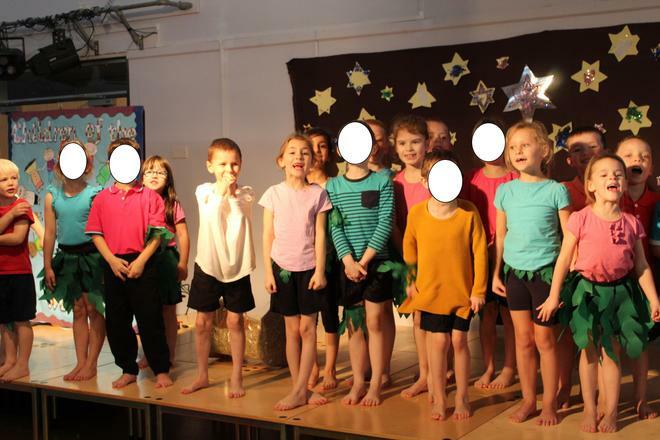 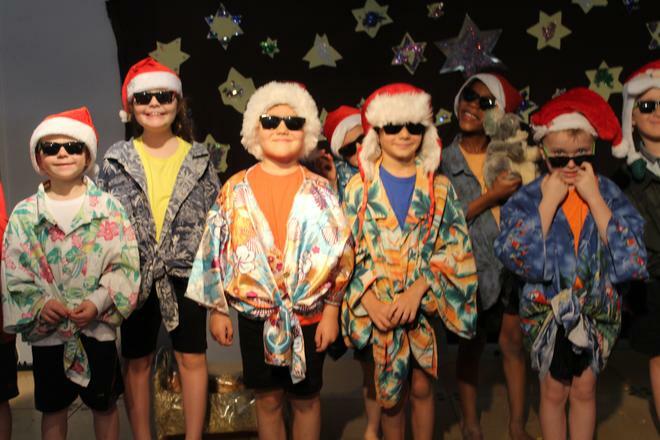 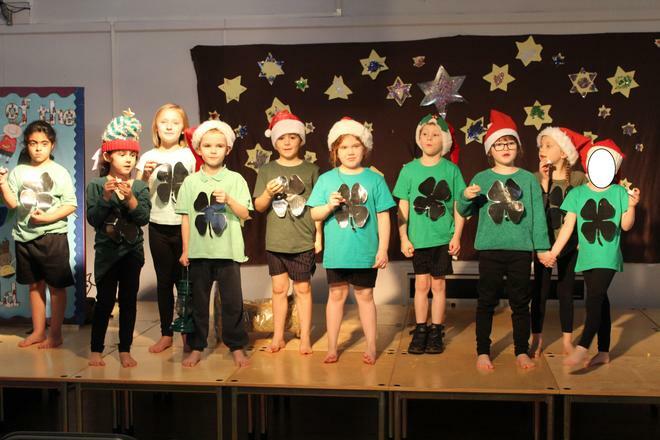 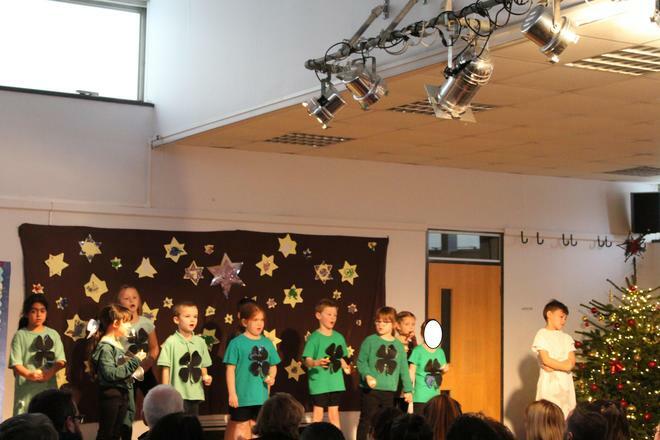 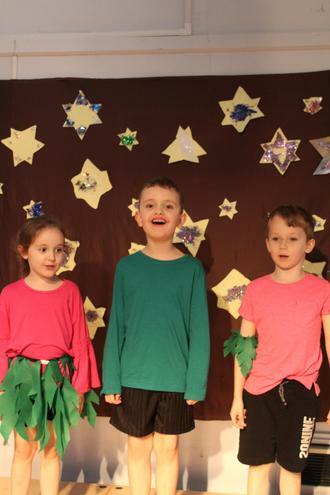 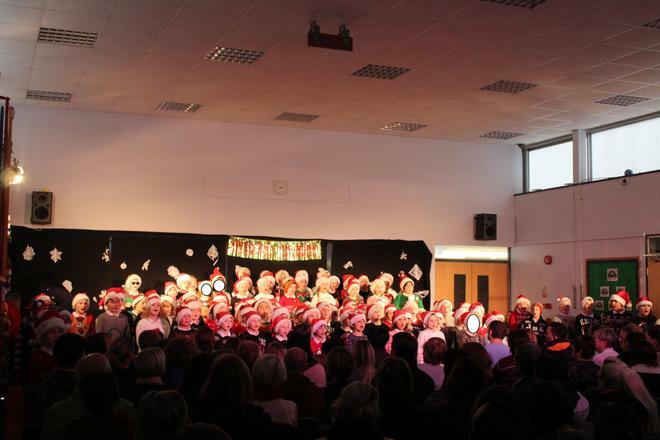 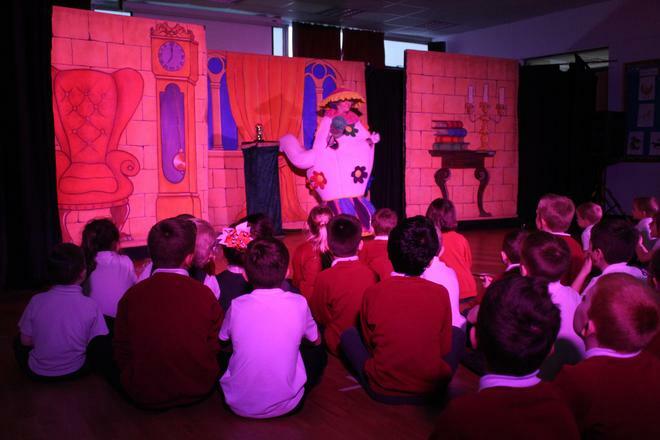 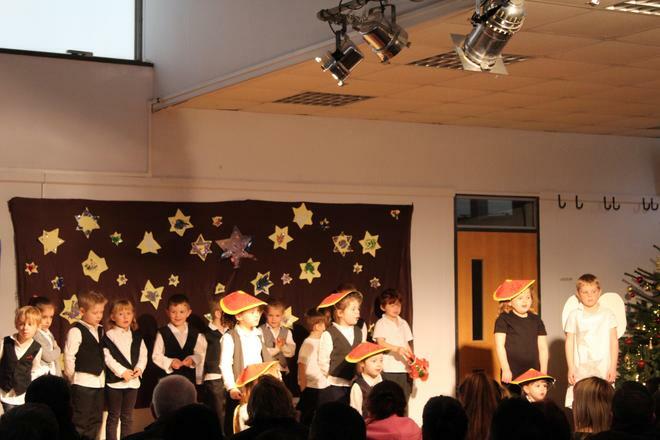 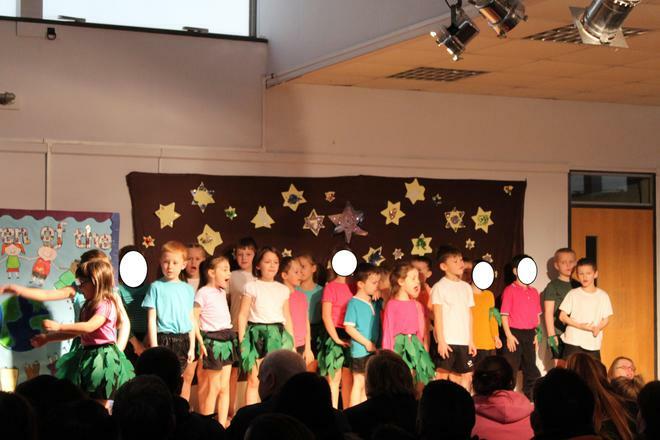 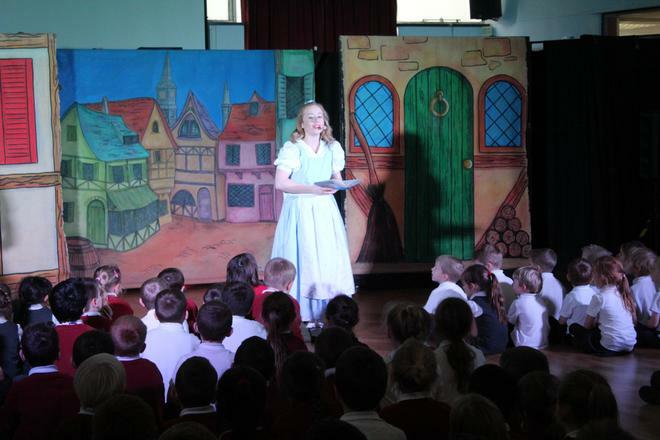 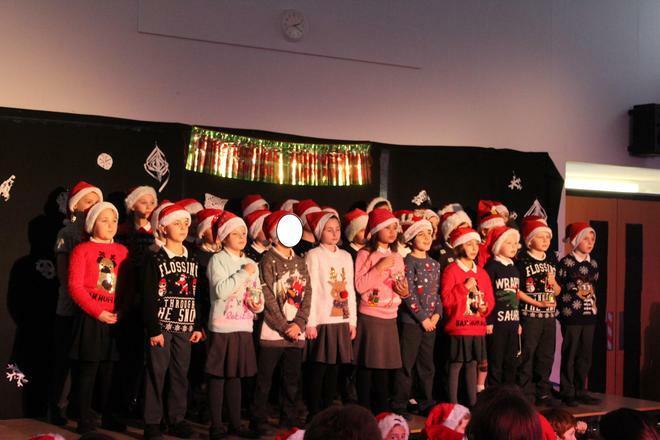 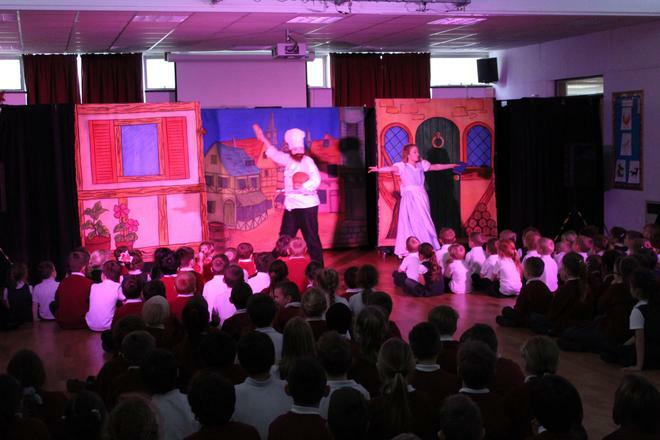 Children in EYFS and KS1 performed the play ‘Children around the World’ this year. 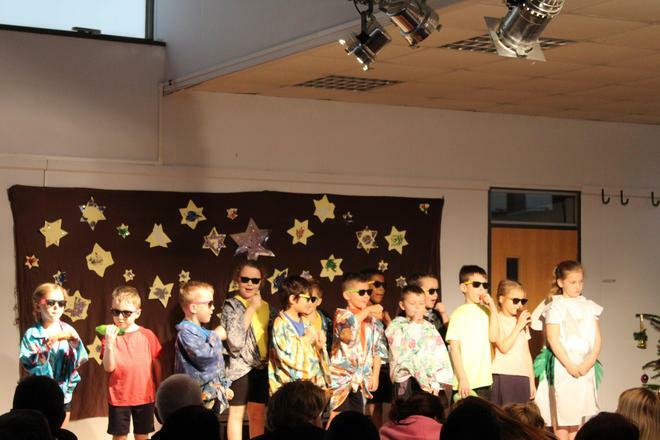 The performance was fantastic and they really showed cased their singing and acting abilities. 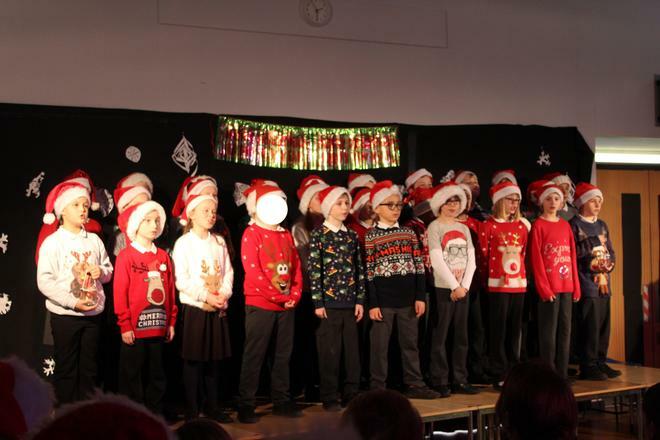 The KS2 choir have been learning a range of Christmas Carols and visited Sycamore Care Home to bring joy to the residents there. 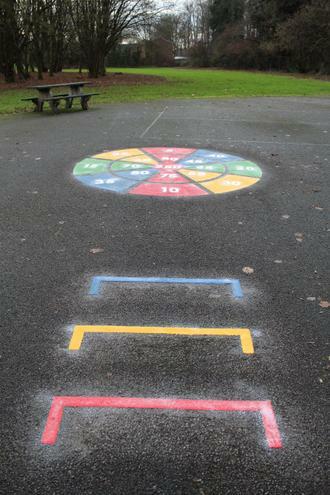 New lines on the playground! 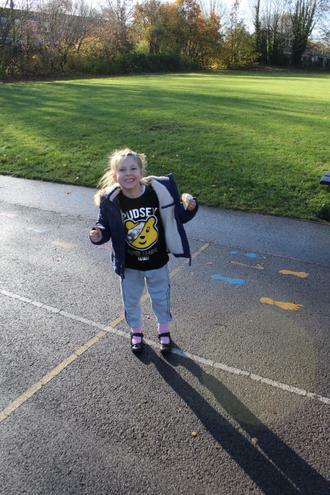 Today we had new lines painted onto our playground. 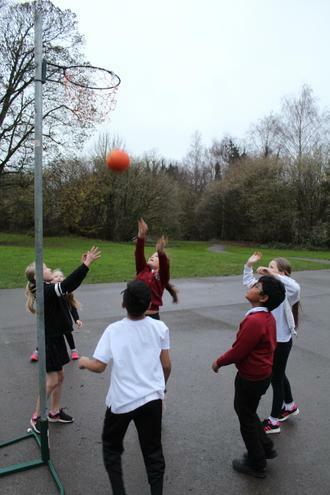 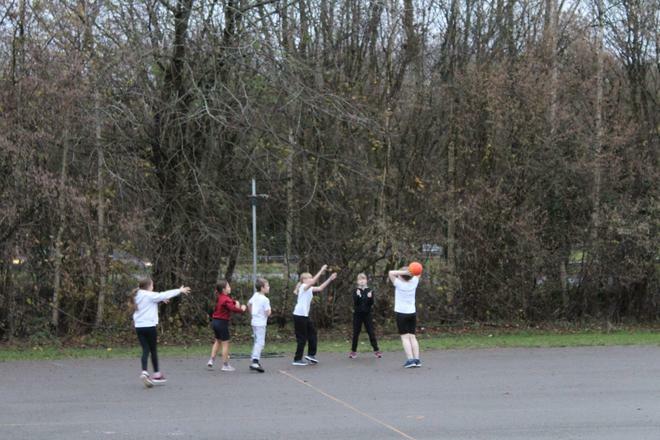 It is now much easier to see what we're doing during a game of Netball, or Football! 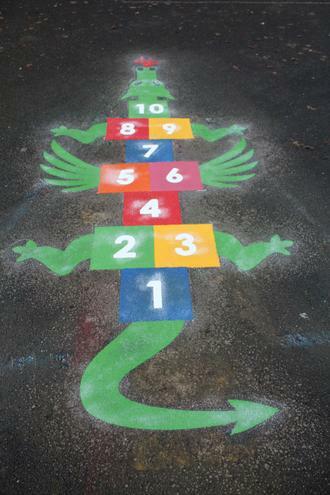 We also have some new games and we have updated the infant exercise track! 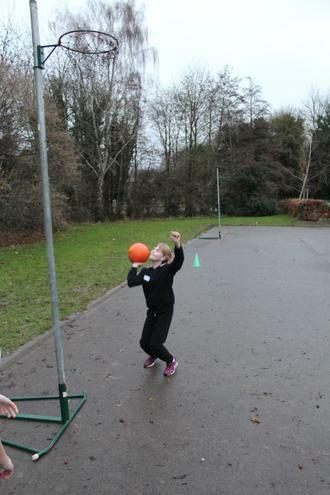 We welcomed three other schools to take part in a Netball Tournament. 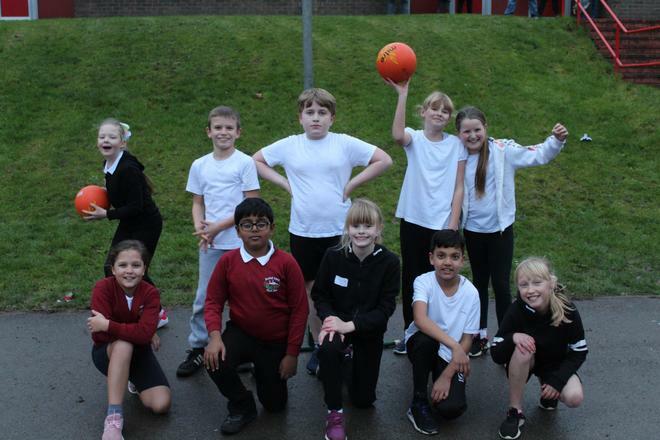 The children played superbly and we had some great success in our matches. 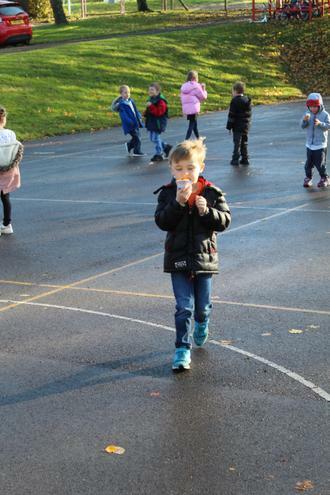 The children have only been practising a short while and all demonstrated great perseverance. 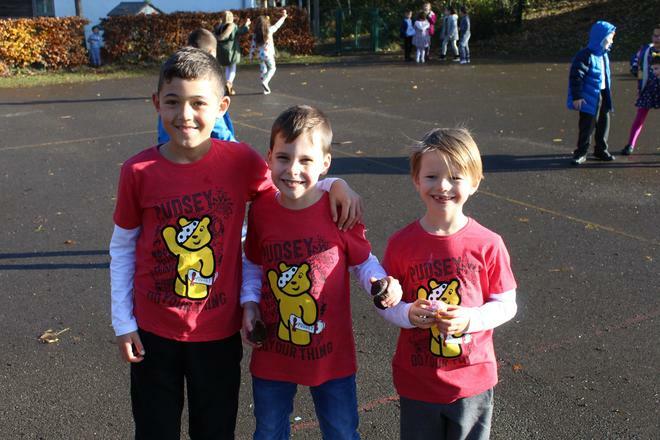 Other schools commented on the children’s excellent sportsmanship. 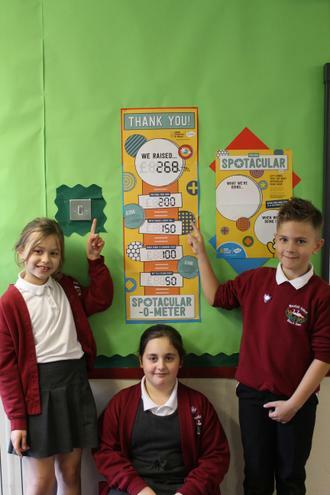 A MASSIVE thank you from the Rucstall School Council! 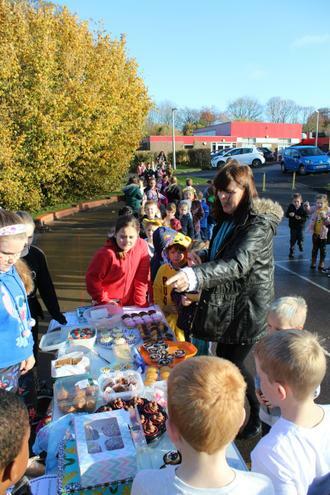 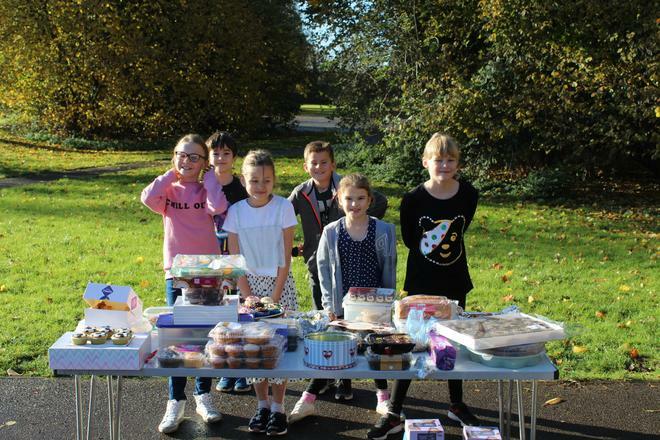 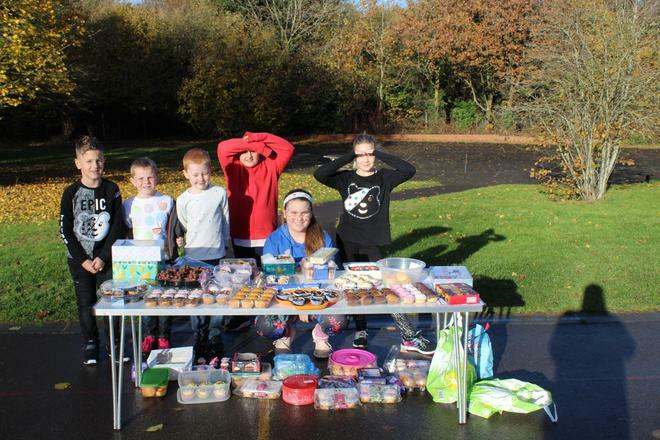 With everyone's hard work and generosity we were able to raise £268.70 in a day and half! 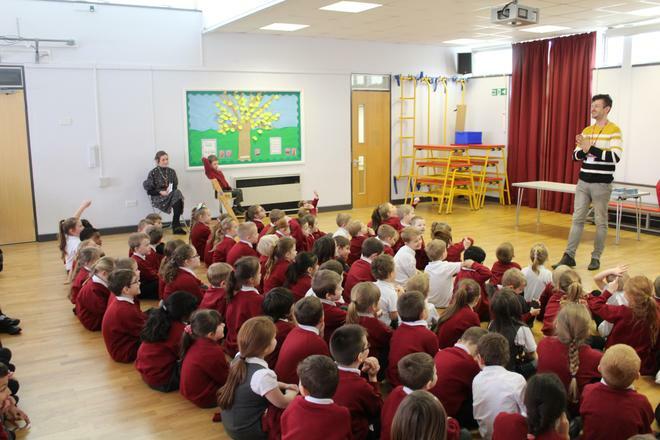 This money will be used to improve the lives of the children both locally and nationally. 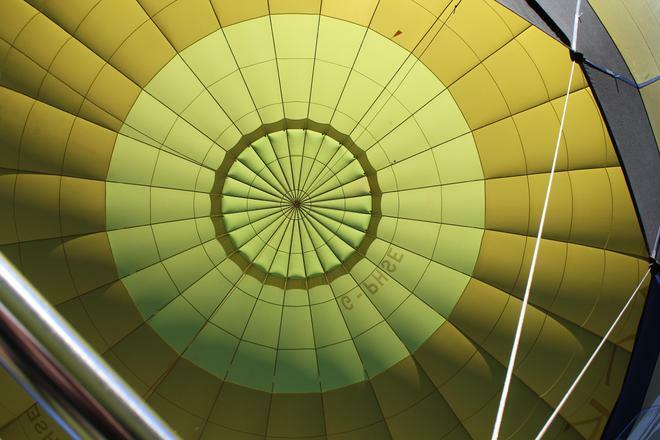 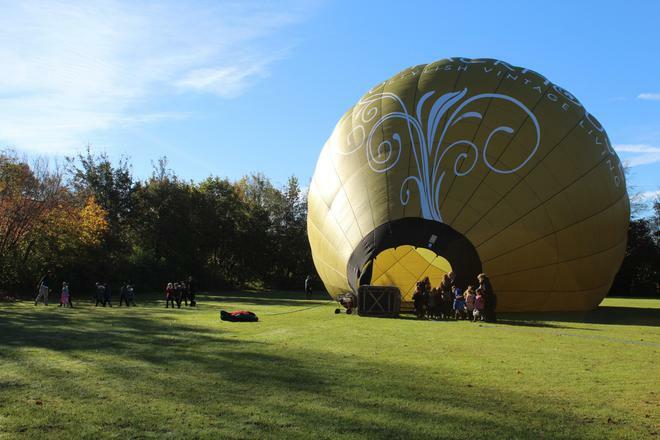 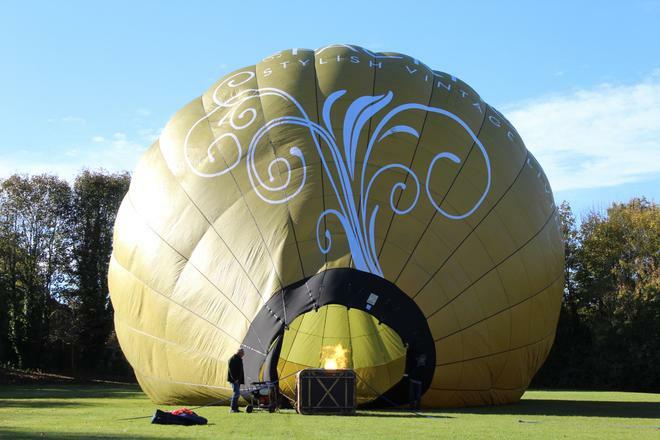 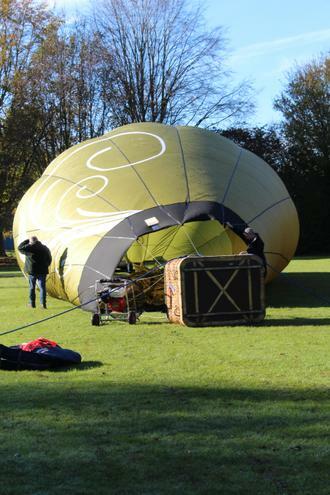 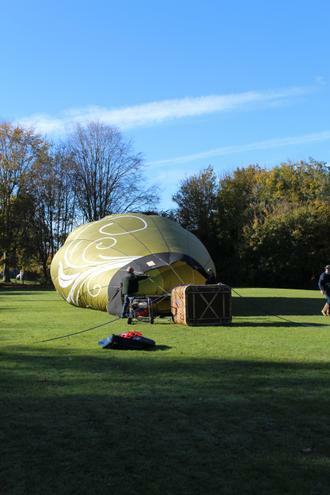 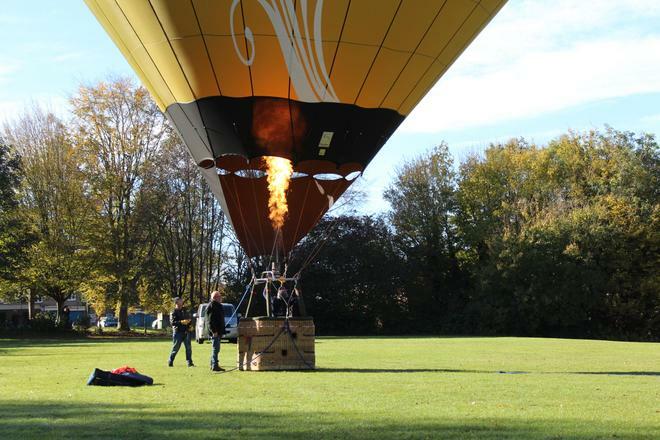 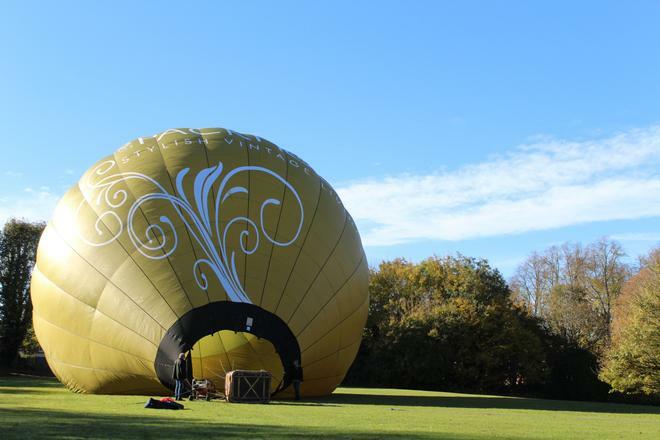 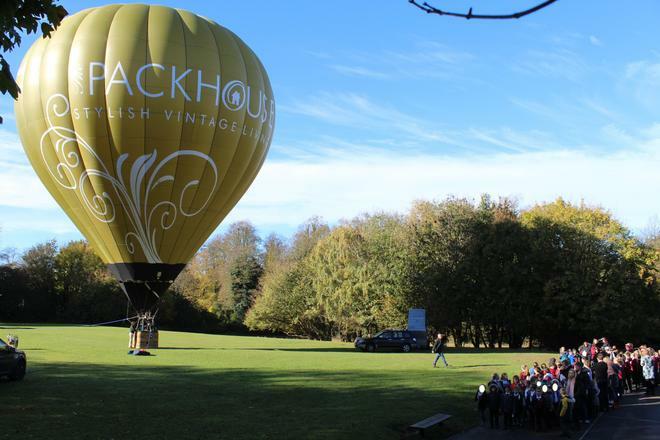 Today we were very fortunate to have a visiting hot air balloon! 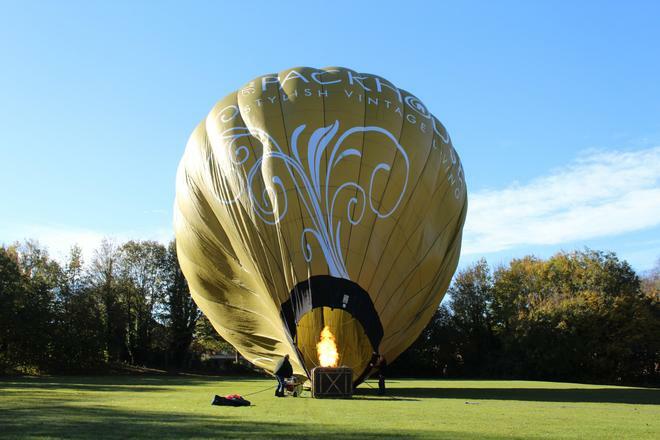 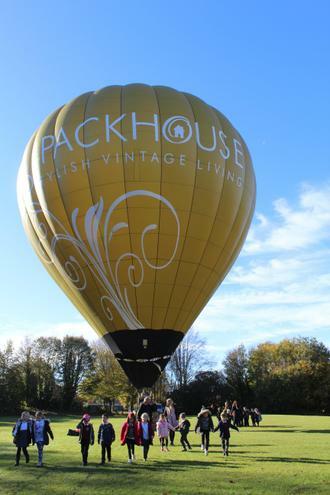 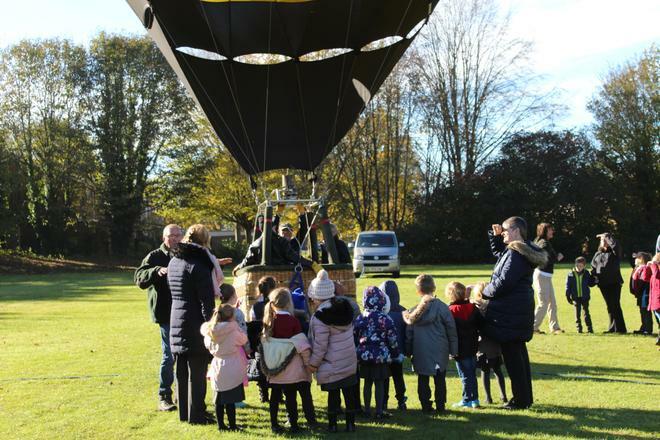 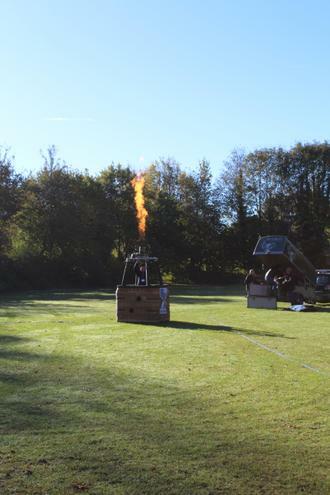 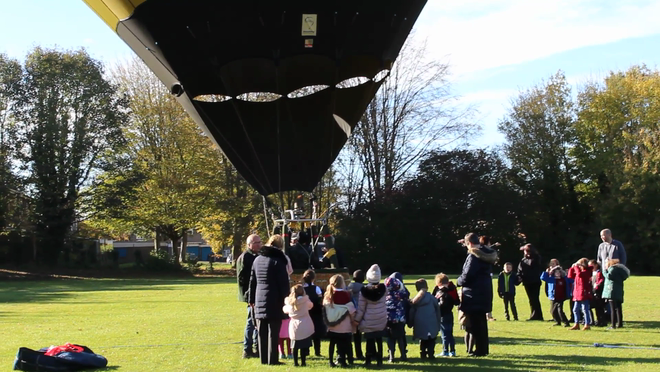 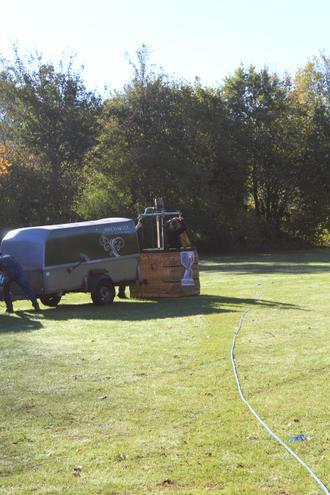 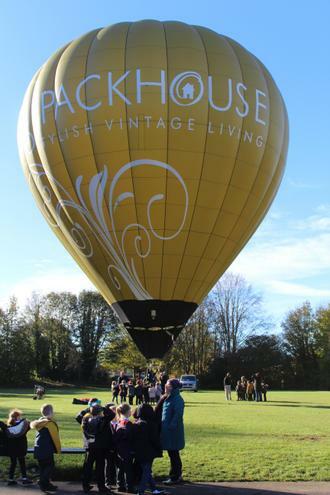 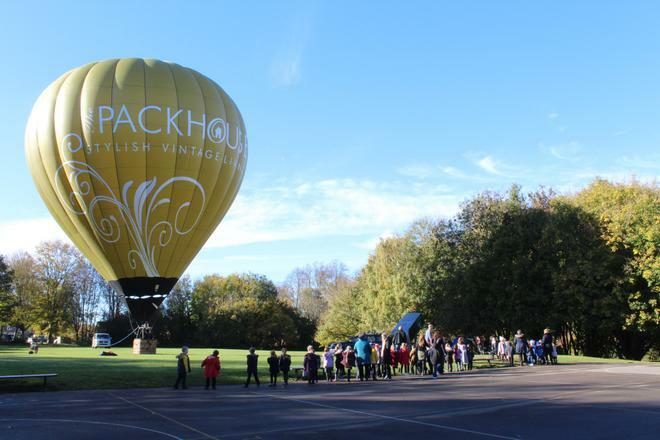 A team of volunteers and a balloon from the Packhouse came and demonstrated the use of a hot balloon for the children. 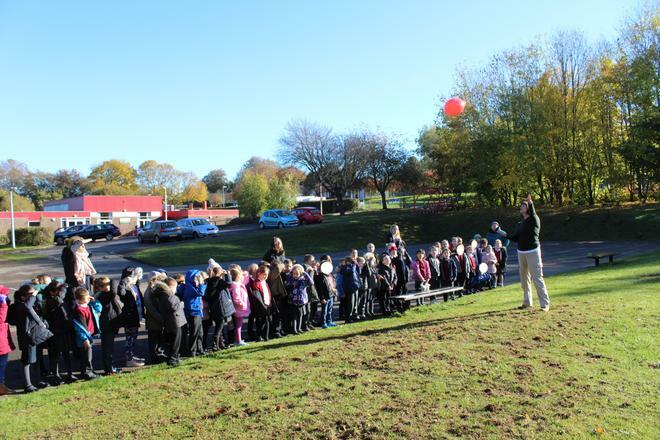 Years 1 and 2 are currently using the book ‘The Journey’ as their stimulus and this has been a fantastic demonstration of a balloon, similar to one used in the story. 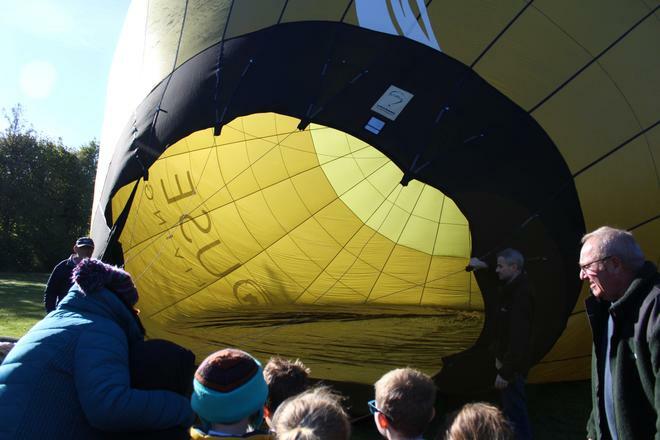 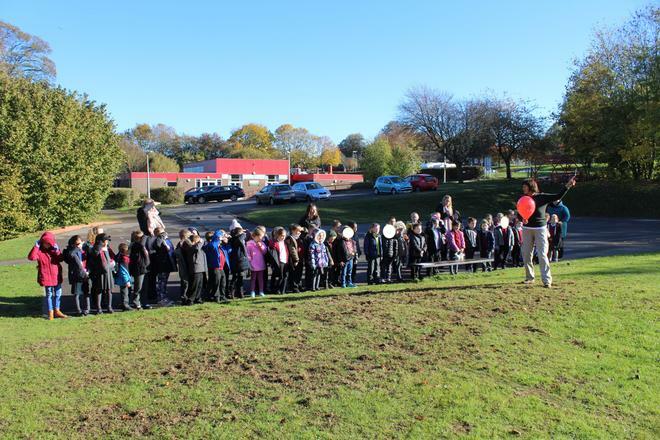 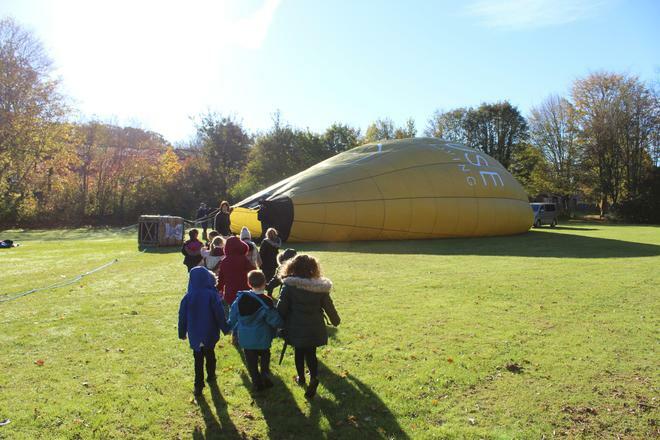 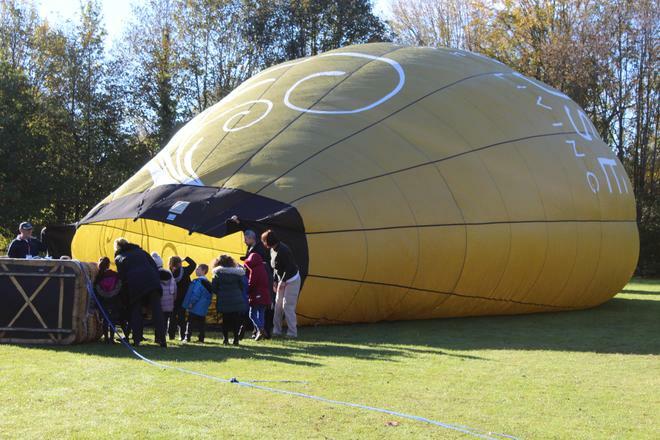 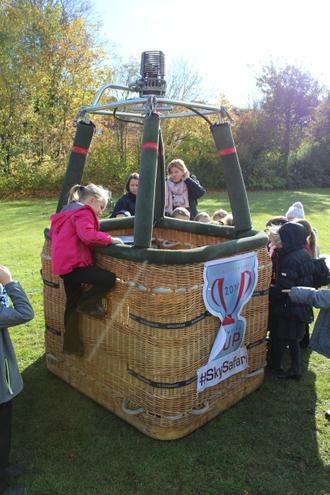 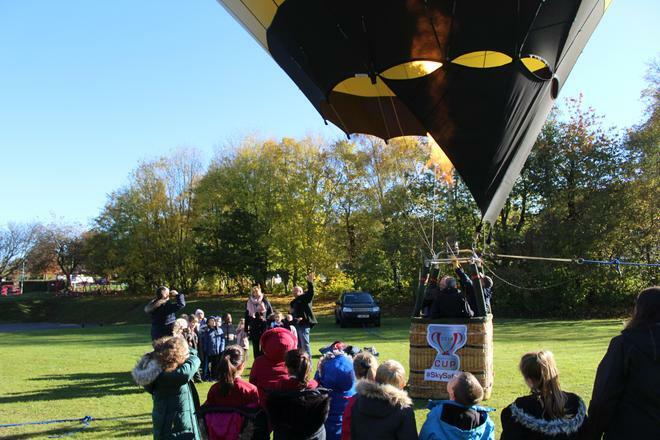 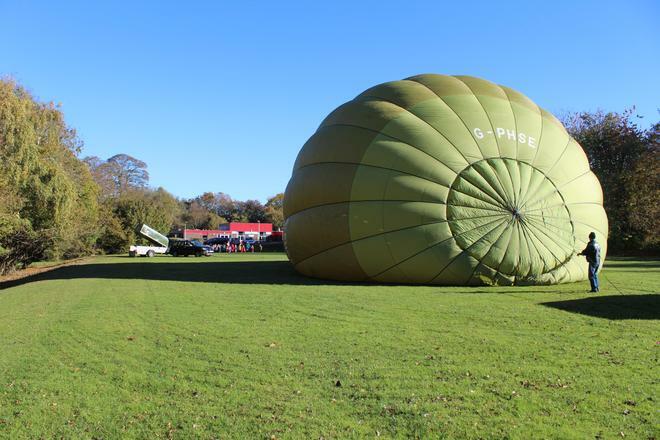 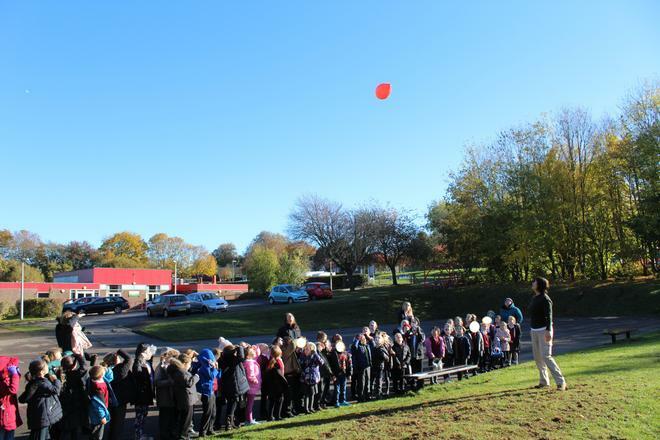 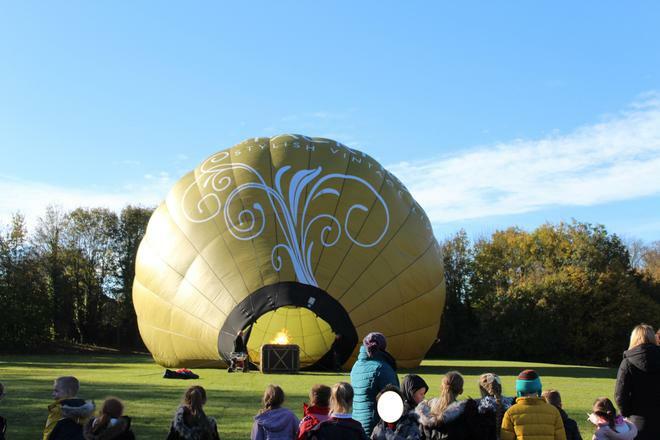 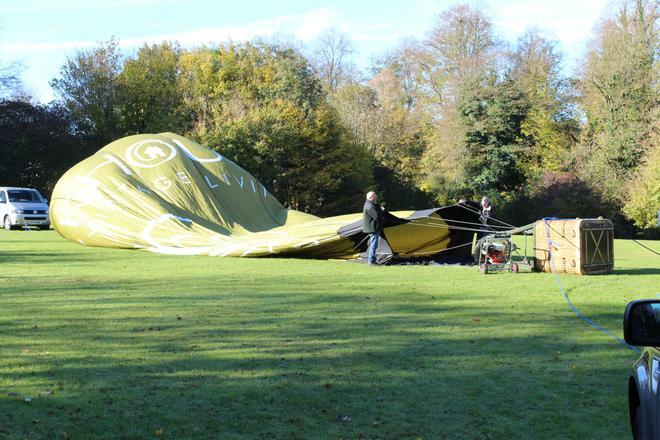 The whole school were able to see the balloon and Mrs Griffiths even lifted off the ground in it! 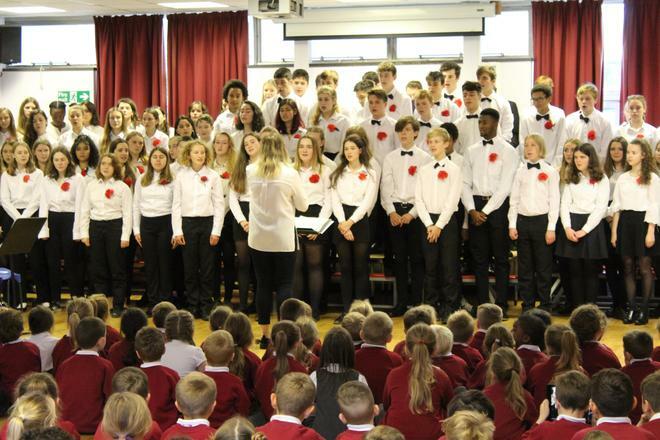 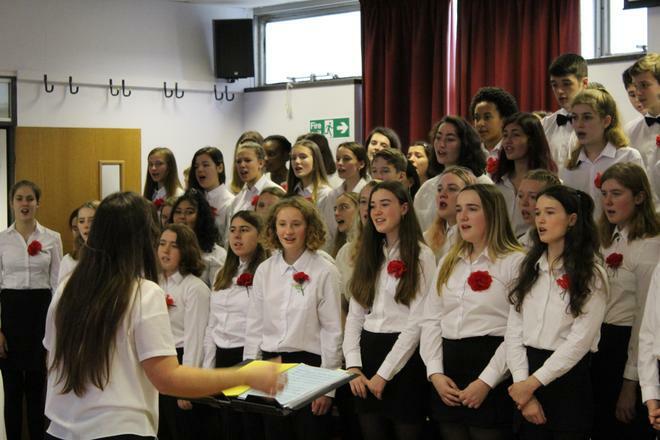 Today we had a performance from the Graveney School Choir. 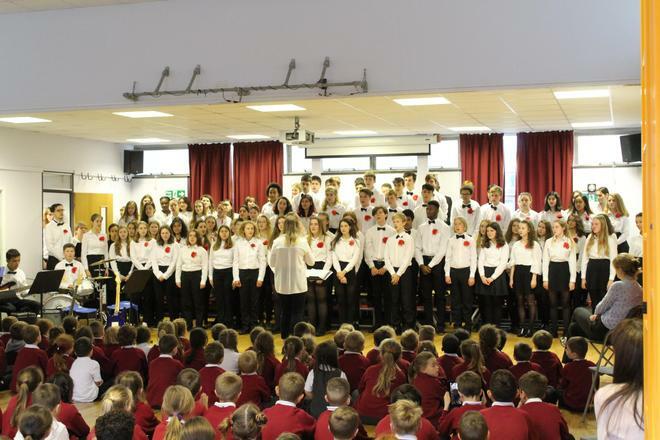 This was a choir of some 60+ secondary aged children from North London, who are touring the country. 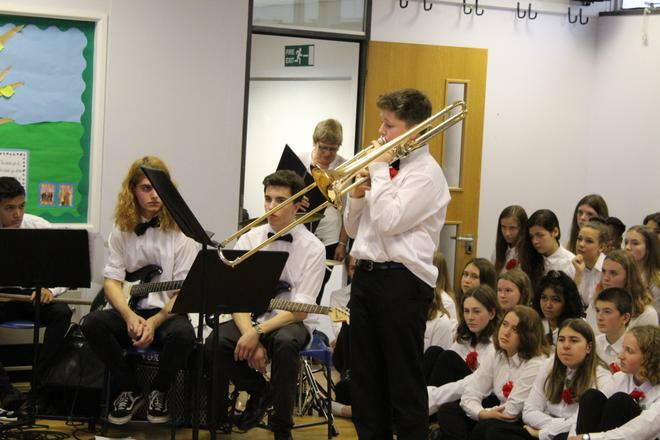 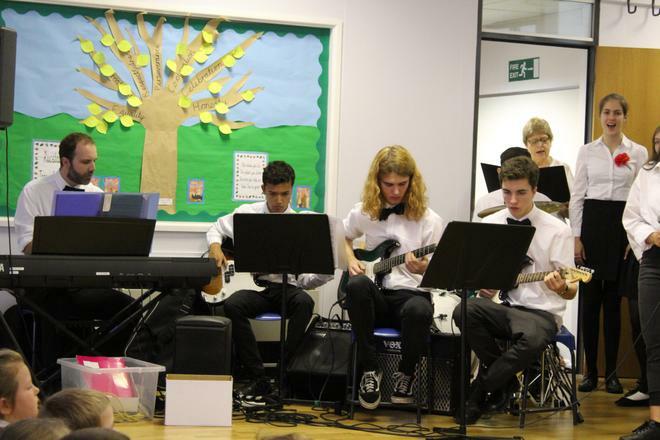 They sang a range of popular songs, there was some acapella singing, a trombone solo and accompaniments from guitars and a keyboard. 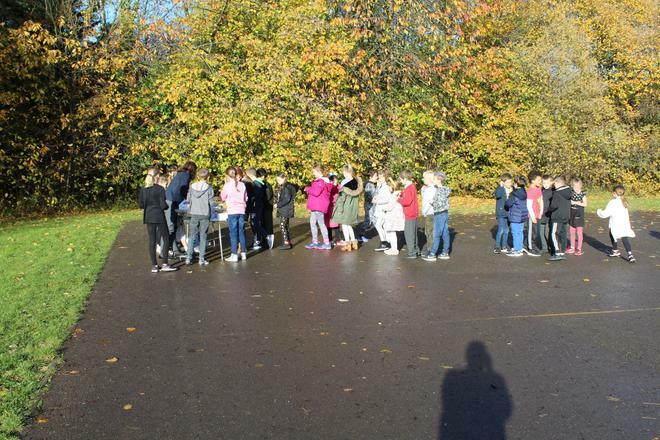 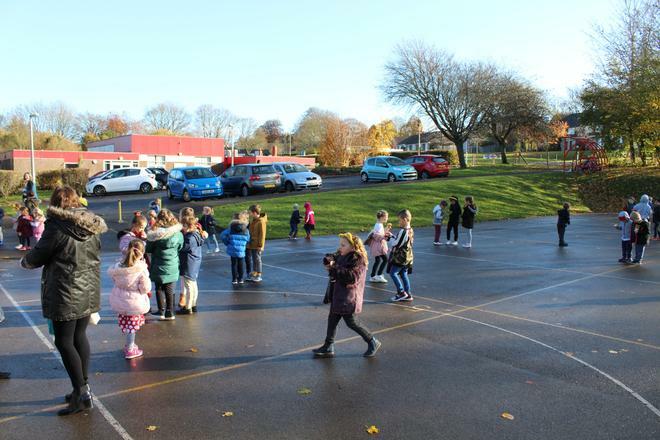 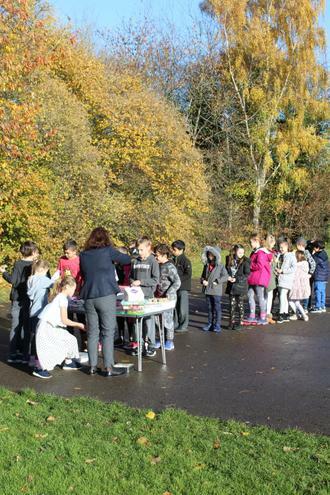 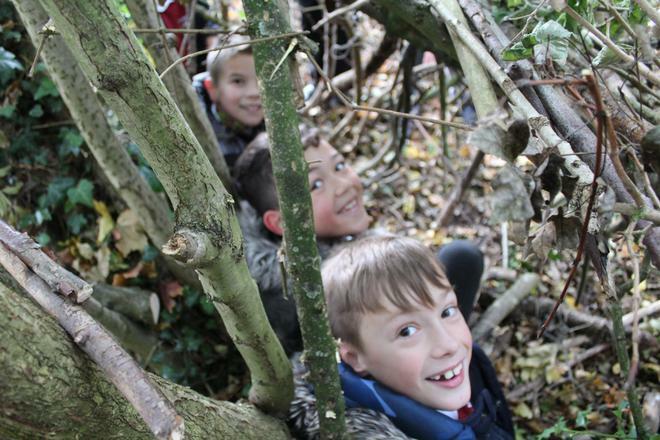 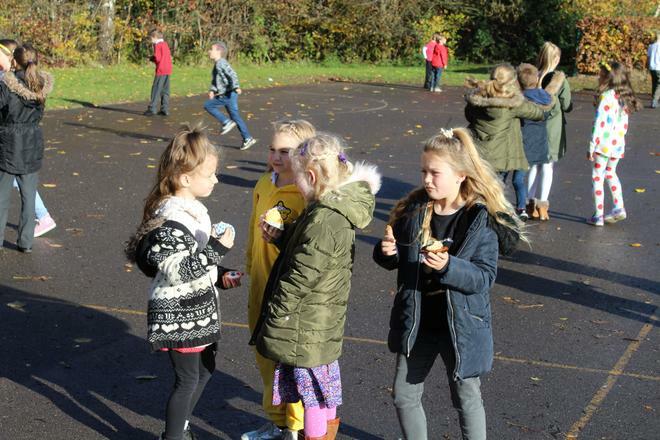 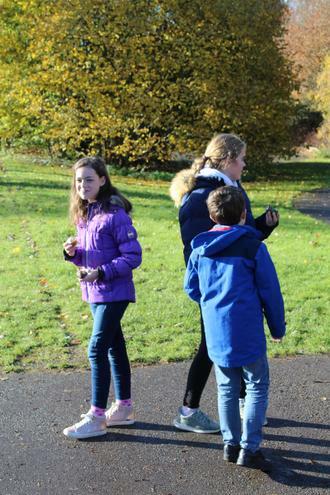 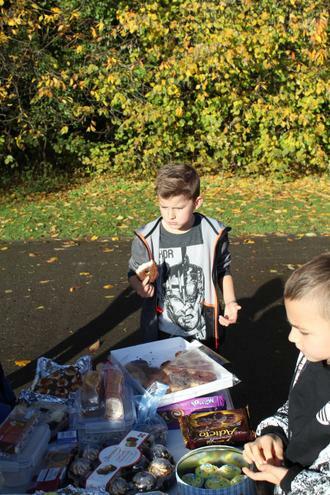 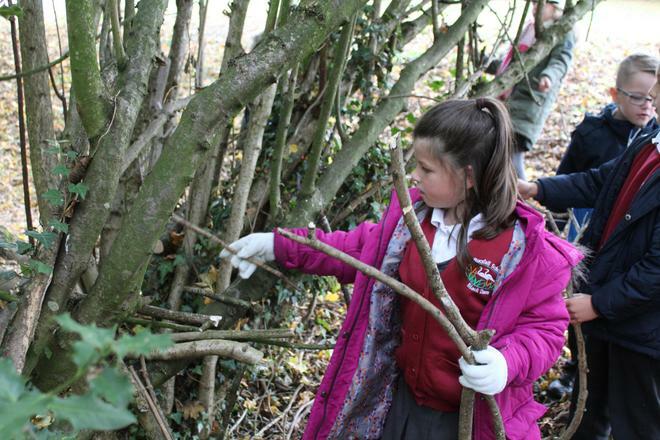 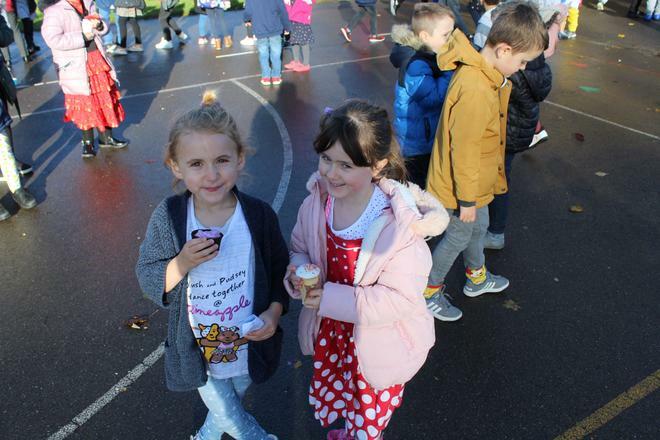 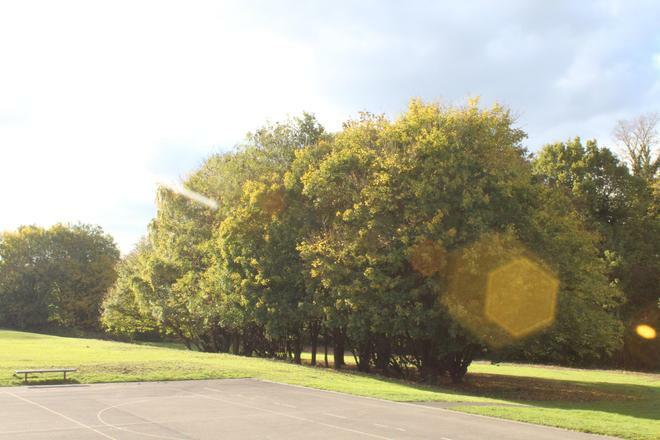 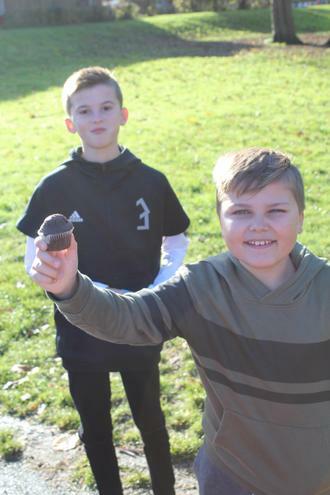 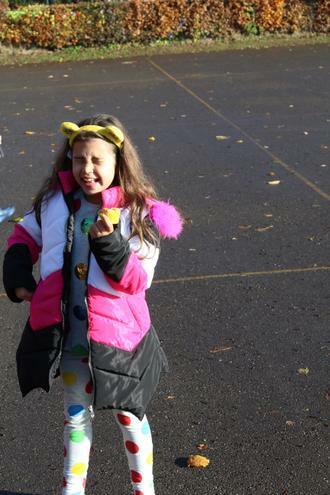 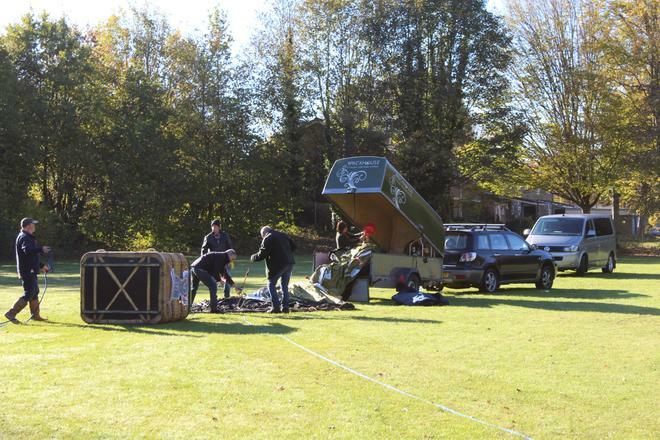 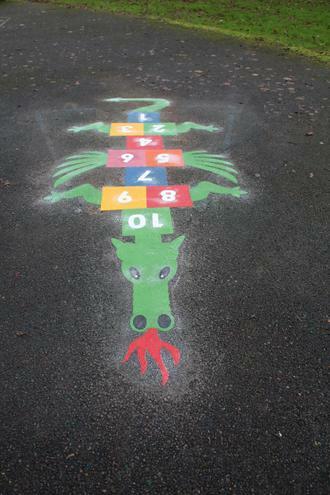 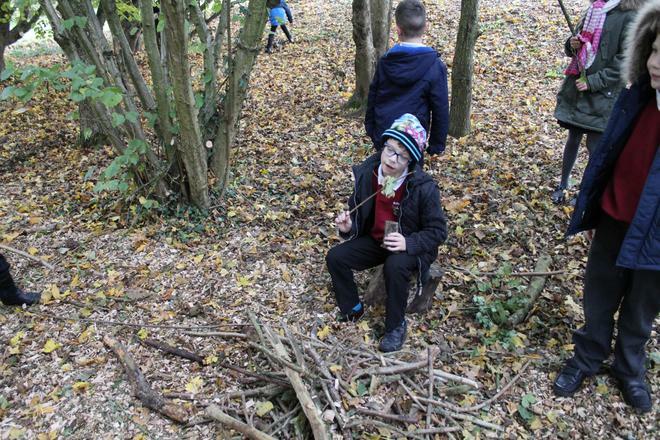 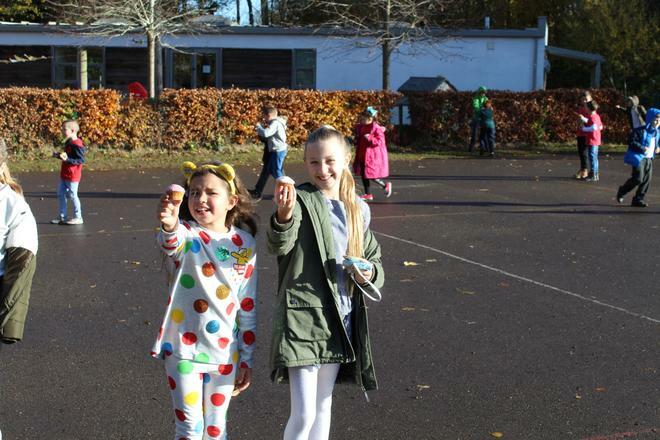 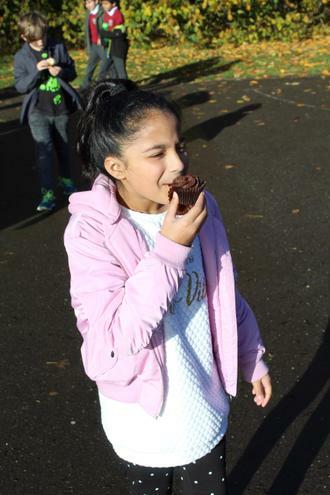 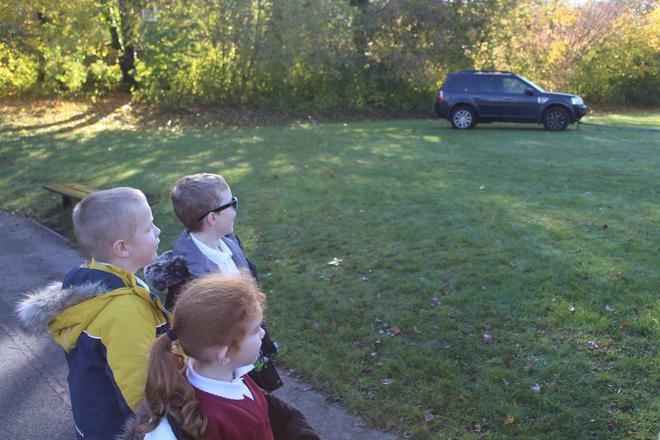 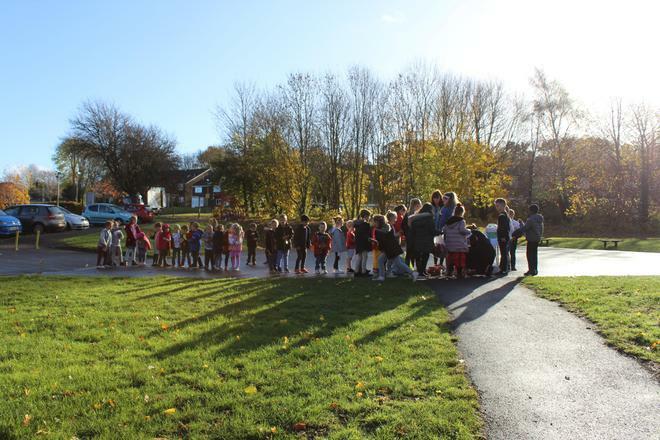 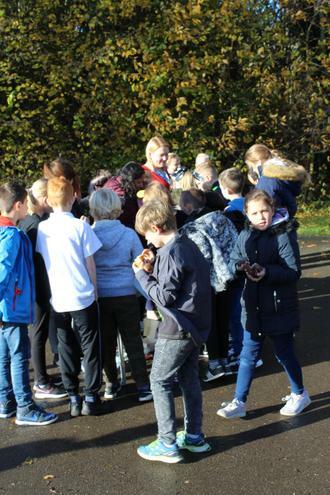 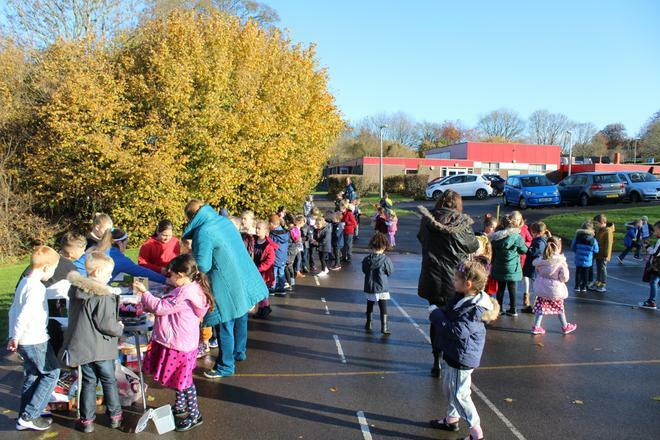 The school grounds have undergone some changes during October half-term. 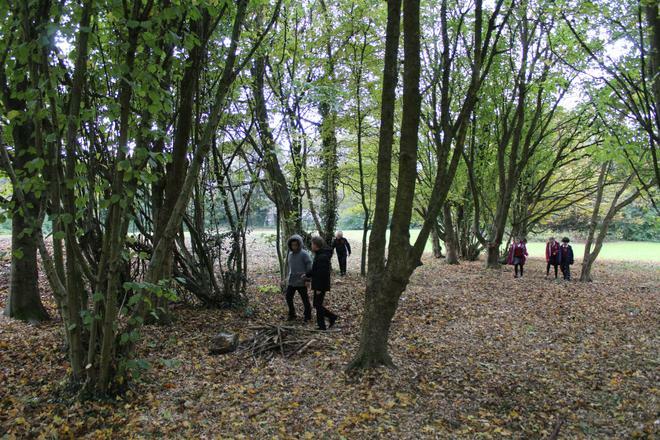 This includes opening up the tree area on the field so that children can go into the woods and explore. 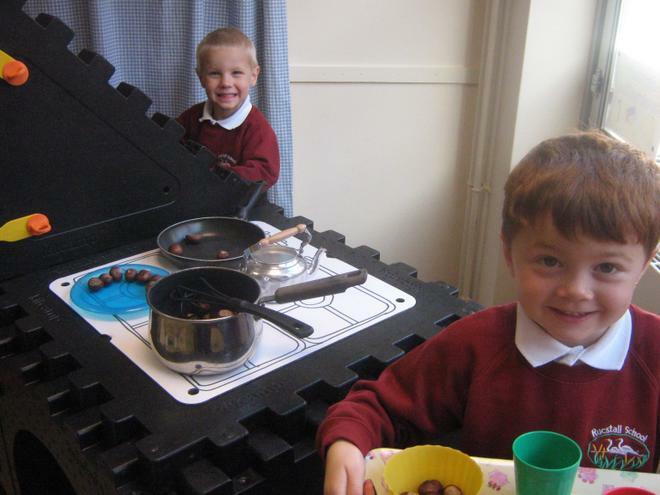 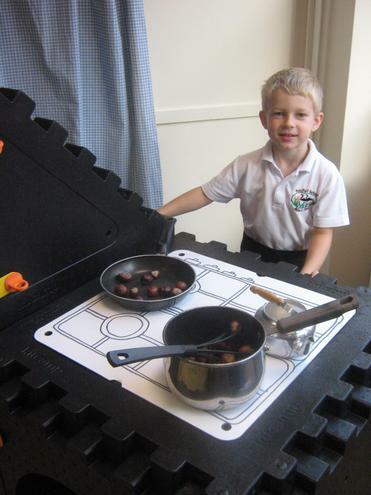 They have all had the opportunity to do this and thoroughly enjoyed using this space. 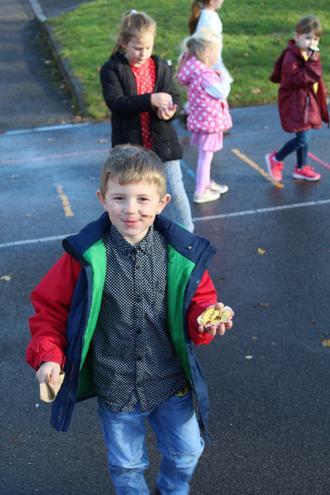 We have also had the area next to EYFS opened up, so there is a greater outdoor area for them to develop their physical development skills by riding their trikes, karts and rickshaws, as well as allowing more space for the installation of a full mud kitchen and sand play area. 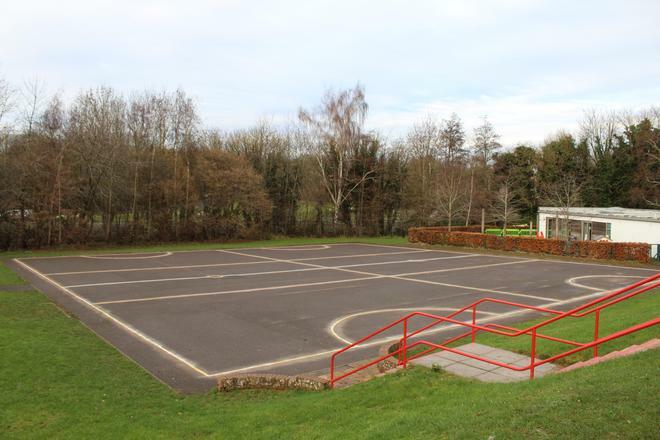 Parents and children will not have known that Rucstall has had some table tennis tables hidden in a back room gathering dust for some time. 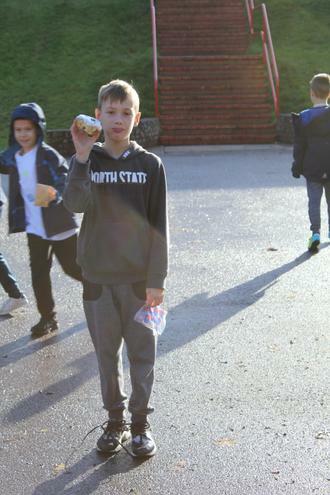 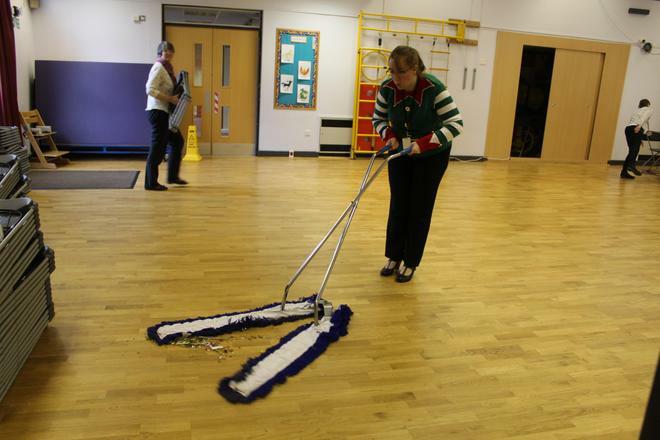 Today they were put back into action at breakfast club and breaktime for children to use! 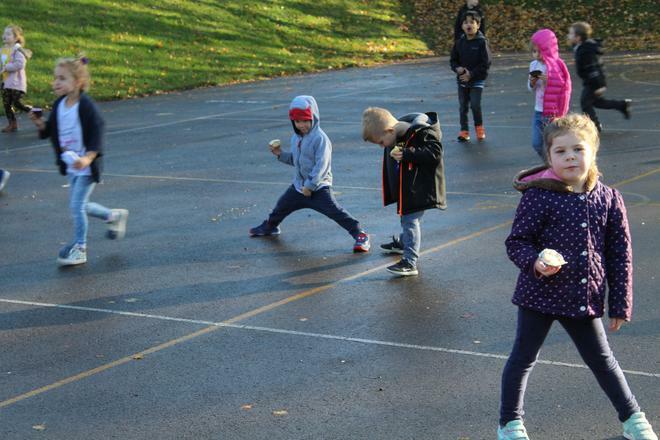 As part of our Sports Premium initiative, we are funding additional adult support to allow the Key Stage Two children to use the table tennis tables every breaktime.